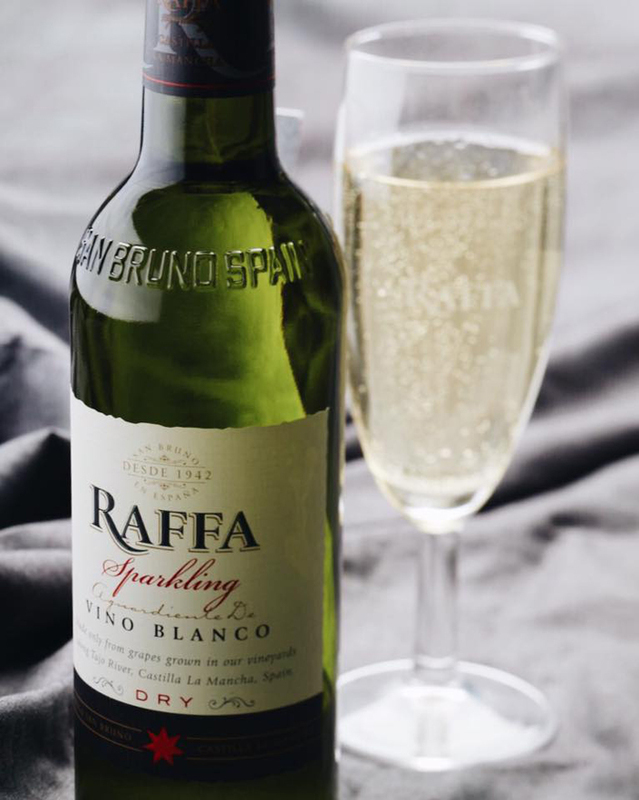 A blend of spirit distilled strictly from white grape wine from the vineyards in Spain, sparkling water, & natural fruit and preservative, Raffa could definitely make each moment shine & sparkle. 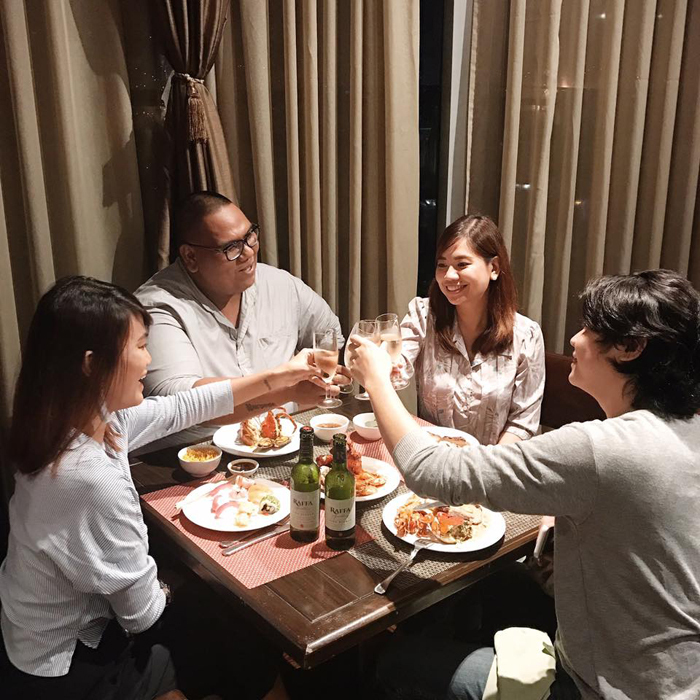 Pair it with good food, great conversations and amazing company! 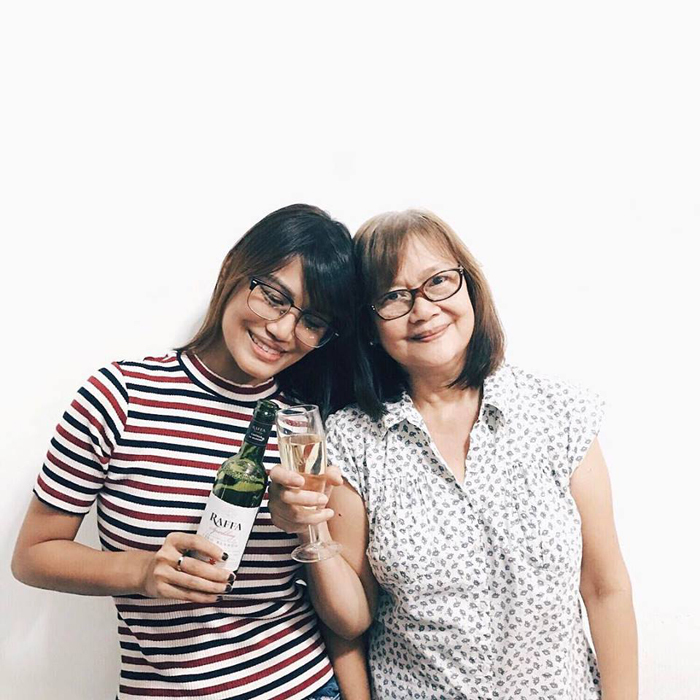 Celebrating Mother's Day with my mom! 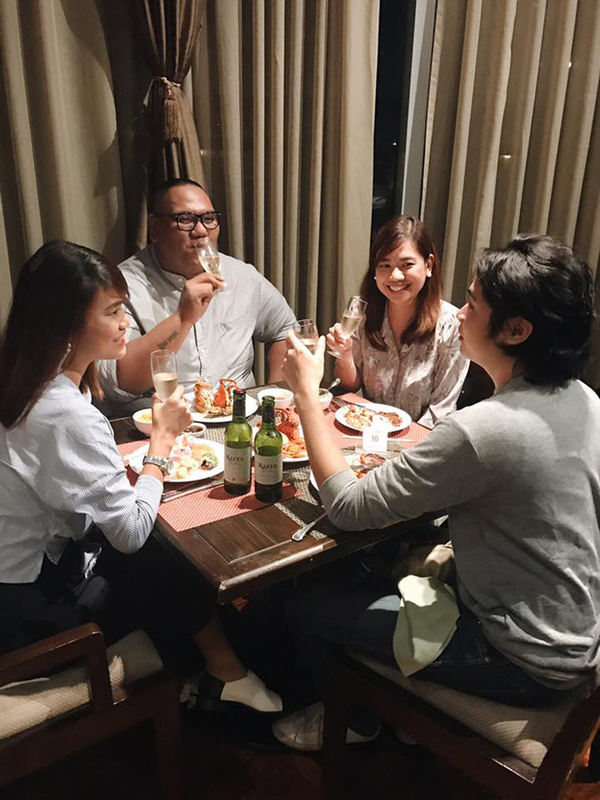 Buffet dinner at Seven Corners in Crowne Plaza, Galleria! I love how Raffa has 2 variants-- Dry & Semi-Dry. It doesn't dry up the throat like other wine do. It tastes light and just right. For a very expensive looking and tasting wine, it's pretty affordable too! 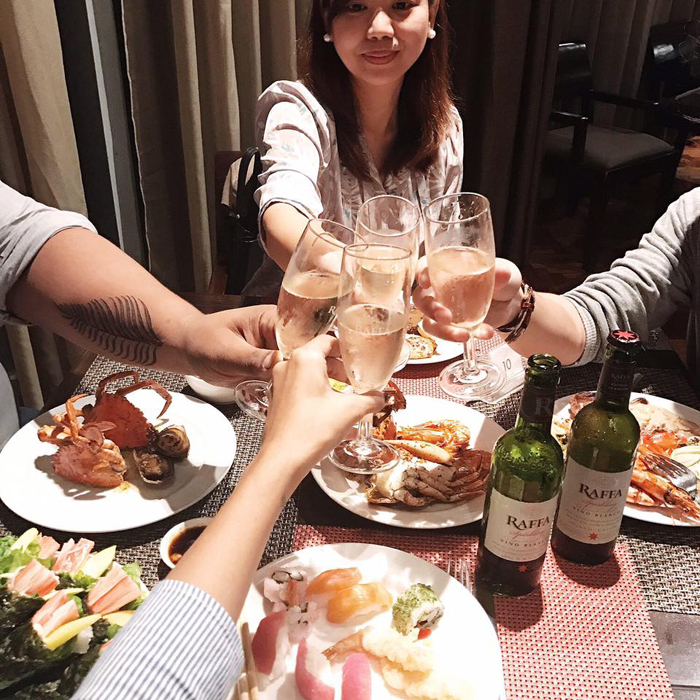 Cheers to life & new beginnings! 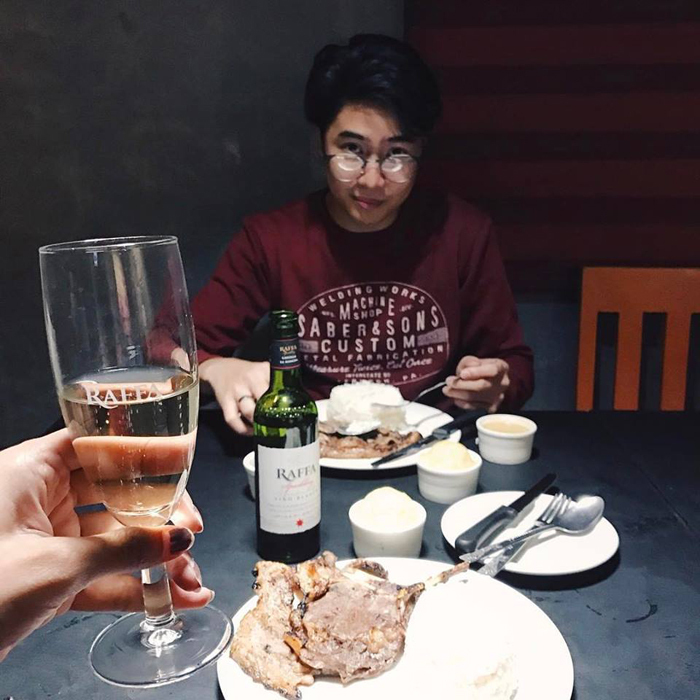 "Bottled and distributed by Emperador Distillers, Raffa Sparkling is a light and refreshing blend of white grape wine from the famed Spanish vineyards of Castilla La Mancha, sparkling water, and natural fruit juice, available in Dry and Semi-Dry variants. The Dry variant delivers clean, delicate, and aromatic hints with bold fruity notes balanced by citrus tones while the Semi-Dry is noticeably sweeter with a fruity nose. 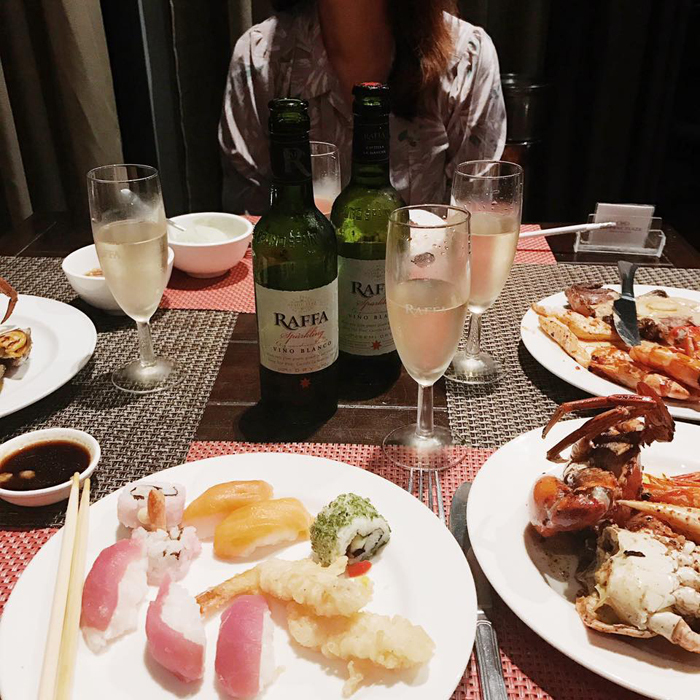 Both the Dry and Semi-Dry sparkling wines exude a bubbly effervescence adding to the sparkling wine experience".